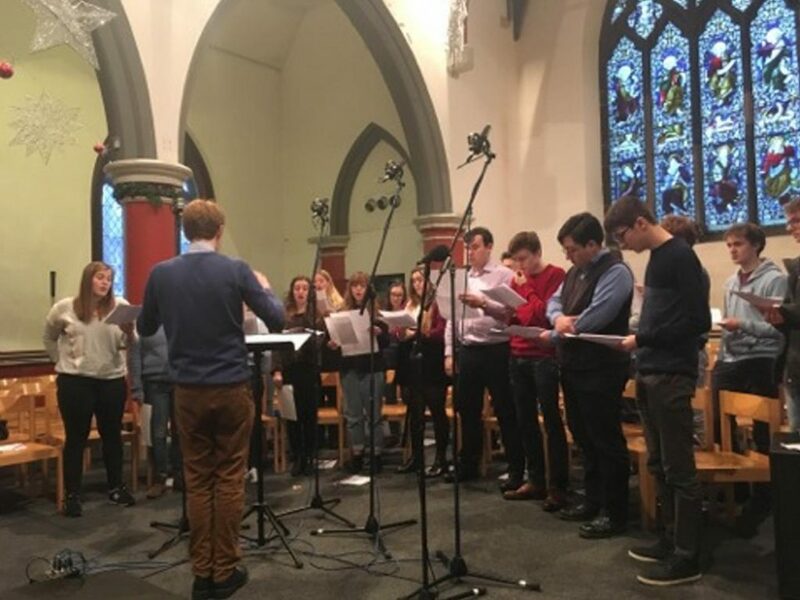 MANCHESTER – Today the Choir was in the leafy suburb of Didsbury, Manchester, but their voices could be heard around the nation as they sang the music for the Daily Service, an act of worship heard each morning on BBC Radio 4 LW. With hymns, prayers, and readings, the Daily Service reaches into British kitchens and living rooms, and in some cases helps those who are shut in or can’t go to church feel that they are joining together in a community of worship. Led by the Revd Canon Stephen Shipley, a long-time friend of Worcester choir and regular Daily Service contributor, the service also featured a reading from Hebrews from the Chaplain. You can catch up with the broadcast at this link.